Wow, I cannot believe it only has been more than two years now that we have onboarded with HubSpot! And what a crazy ride it has been these last 12 months: Within the first 12 months, we had so much success that we wrote a case study on ourselves which got picked up by HubSpot, who then featured us on their website as a customer success story. This year, we saw some incredible customer success, one of which got us the HubSpot Impact Award for Best Client Growth Story. So much has happened, but I would not be a great inbound marketer and strategist if I do not take the time to look back and reflect, figure out what went well and what we could still improve. Since I never really get the chance, I want to start by saying how truly grateful I am to be part of an amazing, often reinforcing ecosystem of incredibly bright people. When you become a HubSpot customer, you are not just buying a piece of software. You gain access to incredible people, training, resources, support and HubSpot User Groups. And of course the entire academy and support team - you rock. Having said that, I also wanted to take the time to reflect on what results we got with HubSpot and Inbound Marketing in the past 24 months, but maybe more importantly, share some lessons I have learned - which I will do in the next blog post. 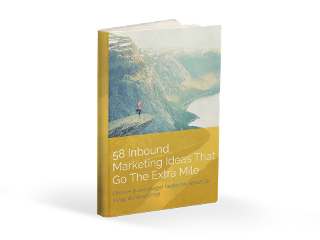 I do this in the hopes to inspire other marketers who have not yet tried HubSpot to give it a spin (I believe so much in the tool I will happily set it up for you) and for marketers who have been doing this for a while to maybe take away a few things so they won't stumble over the same things we did. If you would have asked me two years ago, if I could have 6x the amount of monthly visits to my website within two years, I would have told you "You are crazy!" Well, I am happy to say, we did just that. In the first year of using HubSpot, we were extremely diligent regarding blogging, posting and engaging on social media — we even created a minimum of one new offer a month. The results clearly showed that the juice was worth the squeeze: We were able to grow our monthly website visits by more than 280%! As you can see, in the second year of using HubSpot our growth slowed down significantly to 58% month-over-month because we tapered off doing our inbound marketing: We prioritized our clients over our efforts. While I had hoped to grow more in the second year, we are still far ahead of what we had expected when we were going into this in March of 2014. 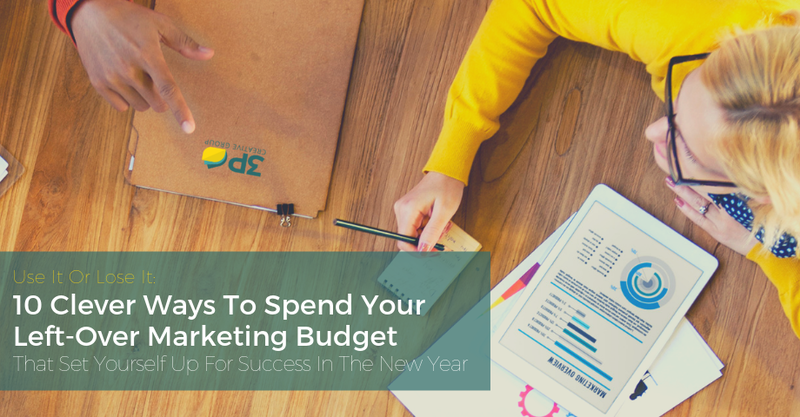 I remember running the numbers in the HubSpot ROI Calculator and thinking "Wow, this would be amazing!" As I mentioned before, we started from zero three years ago. Our website was brand new, and it did not rank for anything. 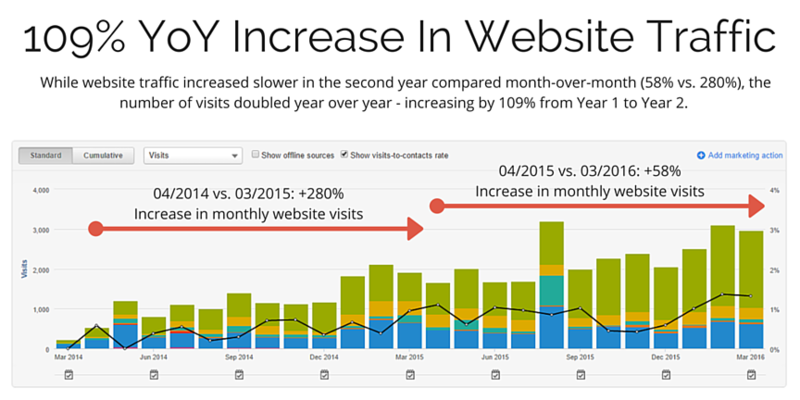 When we began using HubSpot, we were so proud we received just shy of 500 monthly visits. In the past two years, however, we made tremendous strides — even with a rebranding and URL name change in the previous 12 months! Most of our website traffic is now organic and my goal for the third year is to claim a spot in our core industries and generate more quality traffic that will translate into better leads. 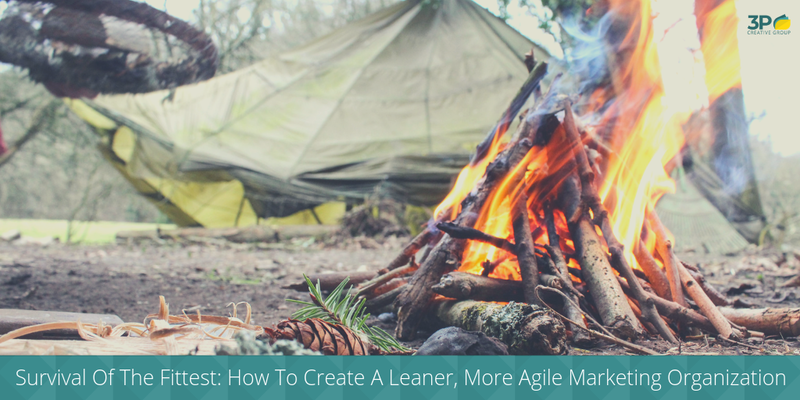 One way we plan to accomplish this is by moving our WordPress website onto the HubSpot COS — using our newly developed COS template which I am excited to share with you in the coming months. While we were not able to keep up our rapid growth concerning website visits, we made up for it in lead generation. 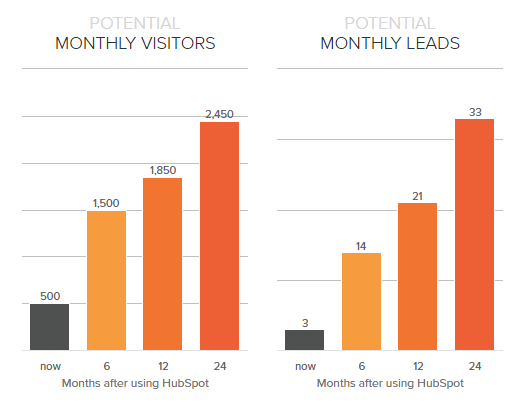 In our second year of using HubSpot, we became much smarter regarding what content would drive the most leads. While in April last year, we generated 18 leads, we now get more than double that amount - and that is not even counting the LeadIn submissions that we are receiving — another lesson learned which I will go into more below. We do not need as many many leads or customers as let's say a B2C retailer or manufacturing business because our customer lifetime value can easily be $120,000. Since we grew so rapidly, I wanted to make sure that we had the internal skill set, talent, and infrastructure in place to service every client as if it was our only customer. Within the last eight months or so, we did just that and ended up signing on some truly amazing clients! We were able to use HubSpot to create smart content that made a significant difference in the lives of stroke survivors and patients with traumatic brain injuries. Two out of three stroke survivors will have some vision deficit after a stroke hits, but most get told there is nothing they can do about it. Our client, NovaVision, is offering affordable, in-home, computer-based therapy options that use the brain's ability to adapt (Neuroplasticity) to recover or compensate for most of their vision loss. 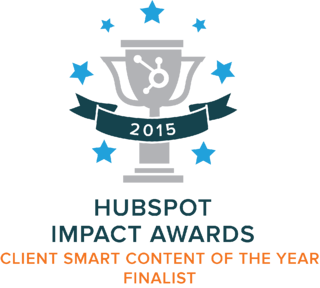 Because of the work we have done for NovaVision, HubSpot recognized us for our work by naming us as a finalist for the Smart Content of the Year Impact Award! Another successful client of ours, Juriba, was able to increase their sales pipeline by more than 1,200% because we were able to not only generate more traffic and leads, but the quality of leads was significantly better. Our success with Juriba leads to us winning a HubSpot Impact Award for best client growth story. Conclusion: It's All Worth It! In closing, we really couldn't be happier with our first two years using HubSpot as a digital marketing agency. Not only has the quality of our clients improved but we are indeed backed by a fantastic team of people who enable us to provide those amazing customers with a level of service we had not previously thought possible. Finally, I was serious about my previous offer! If you are looking to get involved with HubSpot, I would be happy to walk you through getting started. It is this amazing network of like-minded and intelligent marketers that has made the last two years so enjoyable. As they say, a rising tide lifts all boats. Are all your competitors blogging and active on social media? If everyone is doing the same thing, it's impossible to stand out. Be different. Go the extra mile. Get noticed. Here are 58 ways to do that — TODAY.